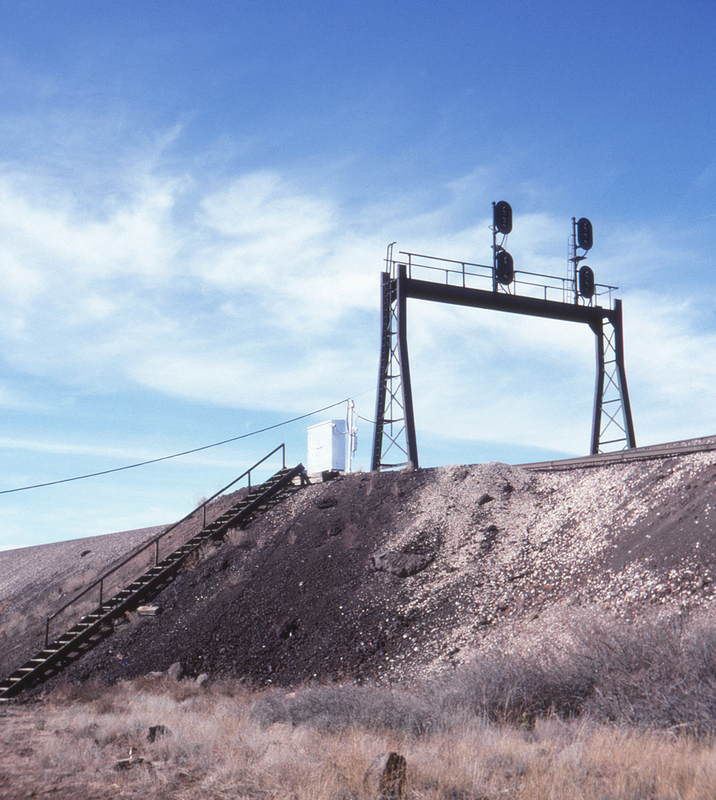 The Santa Fe spared no expense in making the Crookton Cutoff a high-speed raceway, including bidirectionally signaled CTC. At this time the classic Santa Fe signal bridges were still in place, although it would not be long before the newly-created Burlington Northern Santa Fe began toppling them in favor of Safetrans signals with their freeway-like tubular supports. The signal maintainers' stairwell gives on an idea of just how high this embankment is over the surrounding terrain.